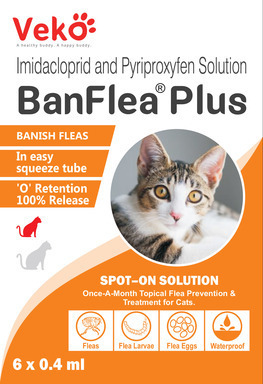 For the prevention and treatment of flea infestations in cats and dogs. Kills all flea life stages within 12 hours of application. Convenient, easy to apply topical solution. Safe to use for cats 8 weeks and older. Do not apply to cats & kittens weighing less than 5 lbs. Treats, prevents and controls lice infestations. Safe to use for dogs and puppies 7 weeks and older. Do not apply to puppies or dogs weighing less than 11 lbs.